Russia plans to upgrade its missiles to allow them to evade American weapons in space and penetrate any prospective missile shield, a Russian officer said Monday. The officer, Col. Gen. Nikolai Y. Solovtsov, chief of strategic missile forces, said Russia’s intercontinental ballistic missiles would be modernized to protect them from space-based components of the United States missile defense system, the news agency Interfax reported. He also said the military would commission new RS-24 missiles with systems to help penetrate a missile shield. The Kremlin has fiercely opposed the United States plan to deploy 10 missile interceptors in Poland and a related radar system in the Czech Republic. The RS-24 is a new-generation intercontinental ballistic missile, which is equipped with a multiple independently targetable reentry vehicle (MIRV) warhead. The RS-24 ICBM, which will replace the older SS-18 and SS-19 missiles by 2050, is expected to greatly strengthen the Strategic Missile Forces (SMF) strike capability, as well as that of its allies until the mid-21st century. The RS-24 missile will be deployed both in silos and on mobile platforms and together with the Topol-M single-warhead ICBM will constitute the core of Russia’s SMF in the future. On 22 October 2008 Col. Gen. Nikolai Solovtsov, Russia’s Strategic Missile Forces (SMF) commander, said the new-generation RS-24 multiple-warhead missile system will enter service with the SMF in 2009n said on Wednesday. “We have carried out a series of successful ground and flight tests of the RS-24 missile. The new ICBM system will be put in service in 2009,” he said. Solovtsov said the new system would “strengthen Russia’s nuclear deterrence,” including its capability to penetrate missile defense shields, and will serve to counter elements of a U.S. missile defense system deployed in Central Europe. The RS-24 was first tested on May 29, 2007 after a secret military R&D project, and then again on December 25, 2007. A new test launch of the RS-24 from the Plesetsk space center in northwest Russia has been planned for the end of 2008. Russia’s military is planning to upgrade its missiles to allow them to evade American weapons in space and penetrate any prospective missile shield, a Russian general said Monday. In comments to the Interfax news agency, Russia‘s Strategic Missile Forces chief, Col.-Gen. Nikolai Solovtsov, as saying that Russia’s intercontinental ballistic missiles will be modernized to protect them from space-based components of the U.S. missile defense system. The upgrade will make the missiles’ warheads capable of flying “outside the range” of the space-based system, Solovtsov was quoted as saying. He didn’t elaborate, but Russian officials have previously boasted about prospective new warheads capable of making sharp maneuvers to dodge missile defense systems. Solovtsov also reportedly said the military will commission new RS-24 missiles equipped with state-of-the-art systems to help penetrate a missile shield. He did not specify that Moscow intended to penetrate a U.S. missile shield, but the Kremlin has fiercely opposed the U.S. plan to deploy a battery of 10 missile interceptors in Poland and a related radar in the Czech Republic. Russia has criticized U.S. plans for space-based weapons, saying they could trigger a new arms race. Washington has resisted efforts by Russia and China to negotiate a global ban on weapons in space. Reflecting Russia’s suspicions about U.S. intentions, Solovtsov alleged Monday that the U.S. is considering the scenario of a first nuclear strike that would destroy most Russian missiles. A few surviving Russian weapons launched in retaliation could then be destroyed by the U.S. missile defense system. Several scholars have recently come forward to say it may be too early to bring Ukraine and georgia into NATO — and thus anger Russia…. The tiny village of Ushguli lies in an emerald-green valley in the far north of the republic of Georgia. Hemmed in by the snow-capped peaks of the Caucasus mountains, it’s a jumble of slate buildings flanking a glacier-fed stream. When I last visited, local elders showed me around the medieval stone towers that dot the countryside. A millennium ago, defense was a self-help game, and families erected private fortresses to guard against vengeful neighbors and foreign raiders. Political leaders in the United States and Europe are careering down a path that could make faraway Ushguli the eastern border of NATO. Foreign ministers from the transatlantic alliance’s 26 member states will meet this week in Brussels to decide whether Georgia and Ukraine should take an important step toward membership. But Western leaders would be wise to act slowly, or the world’s most successful military alliance could become as irrelevant as the ancient watchtowers of the upland Caucasus. Last April, NATO put off both countries’ applications but promised to revisit the issue in December. The August 2008 war between Georgia and Russia has sharpened the debate. To some Western observers, Russia’s intervention in Georgia demonstrated the need to expand the alliance and block Moscow’s imperial ambitions. Without the security guarantees provided by NATO membership, the logic goes, both Georgia and Ukraine will find themselves increasingly threatened by the bear lumbering forth from the Kremlin. Russia’s military said on Friday it had intensified efforts to develop new ballistic missiles in response to U.S. plans to deploy an anti-missile system in Europe and Russia’s navy test fired a new generation rocket. The decision by the United States to deploy interceptor missiles in Poland and a radar system in the Czech Republic has angered Moscow, which says Russia’s national security will be compromised by the U.S. anti-missile system. Colonel-General Nikolai Solovtsov, Commander of Russia‘s Strategic Missile Forces, was quoted by Interfax as saying that Russia had bolstered its efforts to develop new missiles. “At the present time, work has been intensified to create the research and technical foundation for new missile systems, which will be needed after 2020,” Solovtsov said. A few hours later, the Dmitry Donskoy nuclear submarine launched a Bulava intercontinental ballistic missile from the White Sea, a navy spokesman said. The missile hit the Kura testing site on the Kamchatka peninsula in the Pacific. The South Korean air force said Friday it had taken delivery of a first shipment of US-made Patriot missiles, designed to protect against any attack by North Korea. They were bought second-hand from Germany and will replace the current ageing Nike air defence missiles, the air force said in a statement. The first shipment arrived in the country in August but has been undergoing a series of performance tests before Seoul officially took delivery. The air force plans to spend a total of 1.05 trillion won (710 million dollars) to deploy two battalions of Patriot missiles within two years. The air force did not say how many Patriots it had taken delivery of. South Korea previously announced plans to buy a total of 48 second-hand PAC-2 Patriots. The announcement came amid worsening ties between the two Koreas. In protest at what it calls Seoul’s confrontational policy, North Korea has announced strict curbs on cross-border movements from December 1. The US and its allies regard the North’s missile development as a major threat to regional security, on top of its nuclear ambitions. Poland’s foreign minister said yesterday that his country will wait for the Obama administration to make up its mind on basing missile defense interceptors in his country and will not lobby to have the project proceed. The controversial European basing plan, which also involves placing a U.S. radar unit in the Czech Republic, is to be part of a broader missile defense system that the Bush administration has said is designed to intercept Iranian missiles aimed either at U.S. or European targets. Russia has voiced strong objections to the plan. The Navy of Japan and the United States Navy as well as the U.S. Missile Defense Agency (MDA) expressed disappointment and after a missile defense test failure over the Pacific Ocean November 20, 2008. A missile fired by the Japanese destroyer Chokai yesterday failed to intercept a ballistic missile target off Kaua’i in a second test of Japan’s ship-based Aegis ballistic missile defense system. The $55 million exercise paid for by Japan was intended to knock down a simulated ballistic missile in which the warhead separated from the booster. But Rear Adm. Brad Hicks, the Aegis system program manager for the U.S. Missile Defense Agency, said an “anomaly” occurred in the fourth stage of flight by the Standard Missile-3 Block 1A seeker missile. A kinetic warhead released by the missile found and tracked the simulated ballistic missile, but in the last few seconds it “lost track” of the target, Hicks said. “The missile, until the very end of flight, had excellent performance,” Hicks said. The Aegis ballistic missile defense system has been successful in 16 of 20 attempts. Hicks said the same type of missile, fired by the Pearl Harbor cruiser Lake Erie, was used to successfully shoot down a failing U.S. spy satellite in February. “This system works,” said Hicks, adding the success rate is good compared to other U.S. missiles. On Dec. 17 off Kaua’i, the Japanese destroyer Kongo shot down a ballistic missile target, marking the first time that an allied naval ship successfully intercepted a target with the sea-based Aegis weapons system. That target was a nonseparating simulated ballistic missile. Officials said yesterday’s target separated from a booster, making it harder to discriminate. At 4:21 p.m., the ballistic missile target was launched from the Pacific Missile Range Facility. 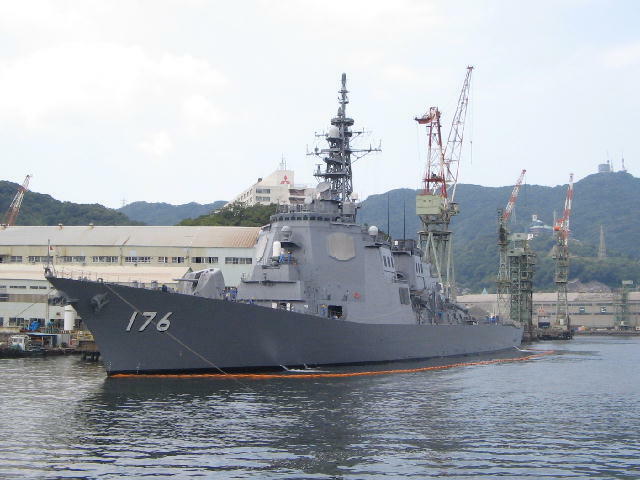 The Japanese destroyer Chokai detected and tracked the target using an advanced on-board radar, according to the Missile Defense Agency. The Pearl Harbor-based destroyer Paul Hamilton also participated in the test. The Aegis Weapon System developed a fire-control solution, and at 4:24 p.m., a single SM-3 Block IA was launched. The Chokai was about 250 miles off Barking Sands in Kaua’i, and the intercept was to occur about 100 nautical miles above earth in the mid-course phase of the ballistic missile’s trajectory. Approximately two minutes later, the SM-3 failed to intercept the target. The Chokai crew performance was “excellent” in executing the mission, according to the Missile Defense Agency. The Japanese ship will stop in Pearl Harbor before returning to Japan with additional SM-3 Block 1A missiles. Hicks said Aegis ballistic missile defense is a certified and deployed system in the U.S. Navy, and certified and operational in Japan’s navy. Eighteen U.S. cruisers and destroyers and four Japanese ships are being outfitted with the Aegis ballistic missile defense capability. On Nov. 1, during the exercise “Pacific Blitz,” the Hawai’i-based destroyers Hamilton and Hopper fired SM-3 missiles at separate targets launched from Kaua’i. Hamilton scored a direct hit, while the missile fired by the Hopper missed its target, the Navy said. A Japanese warship failed to shoot down a ballistic missile target in a joint test with U.S. forces Wednesday because of a glitch in the final stage of an interceptor made by Raytheon Co, a U.S. military official said. The kinetic warhead’s infrared “seeker” lost track in the last few seconds of the $55 million test, about 100 miles above Hawaiian waters, said U.S. Rear Admiral Brad Hicks, program director of the Aegis sea-based leg of an emerging U.S. anti-missile shield. “This was a failure,” he said in a teleconference with reporters. It brought the tally of Aegis intercepts to 16 in 20 tries. The problem “hopefully was related just to a single interceptor,” not to a systemic issue with the Standard Missile-3 Block 1A, the same missile used in February to blow apart a crippled U.S. spy satellite, Hicks said. Military officials from both countries said in a joint statement there was no immediate explanation for the botched intercept of a medium-range missile mimicking a potential North Korean threat. The test was paid for by Japan, Hicks said. John Patterson, a spokesman at Raytheon Missile Systems in Tucson, Arizona, said the company would not comment pending the results of an engineering analysis of what may have gone wrong. The test involved the Chokai, the second Japanese Kongo-class ship to be outfitted by the United States for missile defense, and a dummy missile fired from a range on the Hawaiian island of Kauai. North Korea‘s test-firing of a ballistic missile over Japan in August 1998 spurred Tokyo to become the most active U.S. ally in building a layered shield against missiles that could be tipped with chemical, biological or nuclear warheads. The ink had barely dried on the final vote count when the testing of President-elect Barack Obama began. One of the first was by Vladimir Putin’s puppet Russian President Dmitry Medvedev declaring that if the United States continued with its plan to deploy 10 ABM interceptor missiles into Poland and a radar in the Czech Republic, then Russia would move short range missiles into Kaliningrad, a Russian enclave on the Baltic, targeting Europe. Russia’s excuse for this threat is that they were forced into it because the U.S. defensive system could be converted to an offensive system, targeting Russia. This is a contrived argument and Mr. Putin knows it is groundless. What’s more disturbing is that Mr. Putin’s European proxies like the former German defense minister, Peter Struck, currently the parliamentary leader of the Social Democrats, called Mr. Medvedev’s threat understandable and blamed President Bush for provoking Russia. This is incredible since he knows Russia was invited to participate in this very limited defensive shield whose fundamental purpose is to destroy any ballistic missile fired at Europe or the United States from a “rogue state” such as Iran. During Mr. Medvedev’s recent visit to Washington, he appeared to soften his opening salvo by saying he hoped a compromise on the planned defensive shield deployment could be worked out with the new administration. He suggested a potential global system of protection against rogue states or perhaps use of existing systems to defeat such an attack. Existing systems clearly will be inadequate for this task. Mr. Medvedev concluded his comments by saying Russia will not make the first move. With NATO’s weak response to Russia’s blatant invasion of Georgia, plus Russia’s increasing control of energy resources provided Europe, Mr. Putin sees the defensive shield issue as another opportunity to embarrass and further weaken U.S. influence while furthering his own agenda. If Mr. Putin can cause President-elect Obama to eventually back down on the deployment of the defensive shield, then Mr. Putin’s influence in dealing with the Eastern European border states, as well as the rest of Europe, will be significantly strengthened. Mr. Putin and his KGB cronies can be expected to further expand their control over the energy systems fueling Europe, as well as promoting the gas cartel. Just last week, we saw the European Union reverse its position on withdrawing from negotiating with Russia on a “strategic Partnership” – the negotiations now will proceed even though Russia has not lived up to its obligations in the EU-brokered agreement with Georgia. Led by France and Germany, the EU has essentially caved and will resume business as usual. After all, since they have mortgaged their energy requirements, they cannot afford to have Mr. Putin turn off the energy valves as he did to the Ukraine in the winter of 2006. I believe Mr. Obama will come under intense pressure from our European “partners” to cancel the deployment of defensive missiles to Poland. With no change in Iran’s drive to achieve a nuclear weapon capability, we would be sending all the wrong signals by canceling the deployment. U.S. Patriot missiles will be dispatched in Poland in 2009, the country`s defense minister said on Tuesday while on an official visit to Ukraine, RIA Novosti reported. “Patriot missiles will be in Poland in 2009, at first temporarily, and from 2012, permanently,” Bogdan Klich said. The United States and Poland signed a formal agreement on the deployment of 10 interceptor missiles on Polish soil on August 20, which followed the signing on July 8 by the U.S. and Czech foreign ministries to station a U.S. radar in the Czech Republic as part of a planned missile defense shield in Central Europe. Washington had to commit to measures to ensure Poland`s security, including the deployment of the Patriot missiles, before Warsaw would agree to host the interceptor base. Moscow has consistently expressed its opposition to the U.S. missile shield, saying it threatens its national security. The United States says the shield is designed to thwart missile attacks by what it calls “rogue states,” including Iran. A high-ranking Estonian defence official has been charged with treason, accused of passing sensitive NATO information to the Russian government for the past several years. Estonian sources told Peace and Freedom that Herbert Simm of Estonia has sold US Eastern Euro defense plan, computer codes, missle defense secrets to Russia. 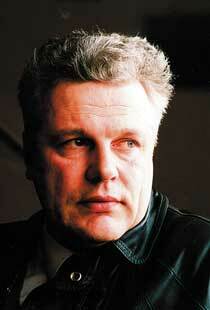 According to the British newspaper “The Times”, Herman Simm, a former Estonian Defence Ministry official, could have passed top NATO secrets to Russia. Simm, who was arrested in September under charges of espionage and treason, was responsible for handling all of the country’s classified information incoming from NATO and other allied countries. “The Times” calls it the most serious case of espionage against NATO since the end of the Cold War. Because of his high profile, it is suspected he might have also assisted in letting through other Russian agents. Estonia is a former Soviet republic, but has one of the more succesful economies amongst former Eastern block countries. Thanks to government efforts, the computer literacy and public IT infrastucture are at a very high level. However, the country has had problems dealing with Russia – this included mass riots after a decision to move a Soviet war memorial, and a massive cyber-attack on the country’s infrastructure that ensued right afterwards. The attack was traced back to Russia, with many suspecting the Russian government of organising it. Herman Simm, 61, an Estonian defence ministry official who was arrested in September, was responsible for handling all of his country’s classified information at Nato, giving him access to every top-secret graded document from other alliance countries.